Take part in the 5K walk or run and be sure to dress as your favorite superhero! Join your friends and neighbors, start a team and be a HERO to children and families in your community. Online registration is now open. Registration is $30 and comes with an event t-shirt. Register before April 12 in order to guarantee your shirt size. Children 3 and under are FREE. 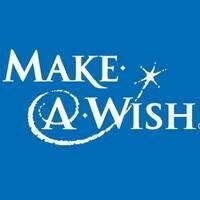 Walk/Run starts at 9:30 a.m.
A wish experience can truly change a child 's life, and you can help. Register today and join us in raising important funds that will help make wishes come true.